I read this article and found it very interesting, thought it might be something for you. 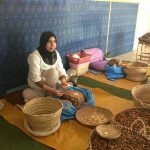 The article is called 10 Things to Know about Agadir Argan Oil and is located at http://trip-n-travel.com/listicle/20712/. Argan oil is actually an essential oil produced from the cracked kernels of argan tree which are very common to the African country of Morocco. The Agadir Argan oil, for instance, is used on a variety of stuff. It can be used as a dipping bread, or an oil drizzle to pasta as well as salad. Of course, it is used as a product for skin and hair. The argan tree is quite common in Agadir and you’ll see them a lot there. It mainly helps in the stability of the area. It also helps stop the erosion of precious soil. The economic production of Agadir argan oil actually helped shelter the argan trees from illegal logging. In 2010, locals planted around 4,000 plants of argan. Aside from giving shade for a number of animals and locals, the tree of Argan also aid to refresh the aquifers. The Agadir argan tree actually provides the shelter as well as food for the animal goat. The trees actually have deep roots that stop the encroachment of the desert and draws the tree-climbing goats. Tourists enjoy watching the goats climb the tree. Goats like to eat Agadir Argan fruit which falls from the Agadir tree. The animal actually leaves the nuts. The makers of oil then wait for a time until they would actually peel the skin. The nut will be extracted. The oil makers will now have to wait for the berry to be dried. The worker will then crack the nut to get the oil. There are many Argan oil local workers in Agadir. 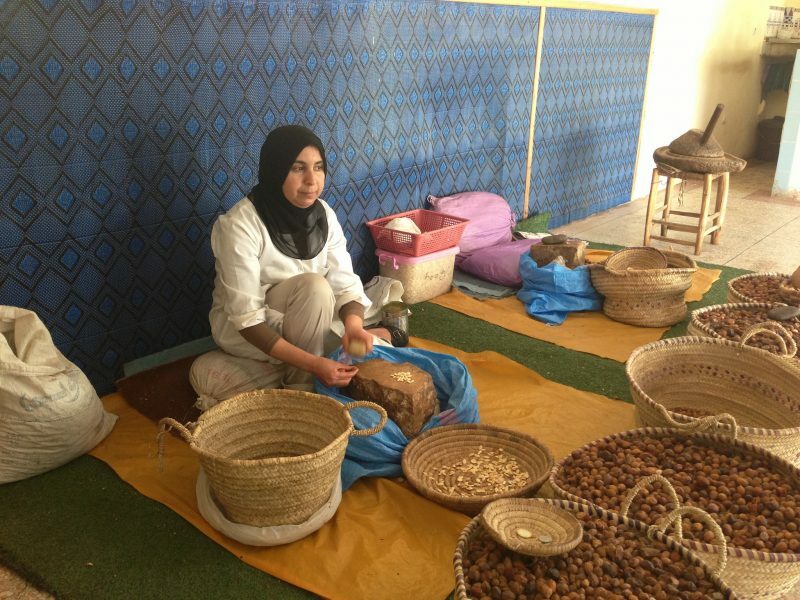 Their main job or work is to mainly extract the oil from Argan berry nut. For just a single liter of oil, it will actually take half a day or more than twelve freaking hours of hard work. There’s a lot of hard work to crack the nuts. The nuts are hard. They are indeed tough to crack. Cracking the precious argan nuts is actually hard work and rightfully so. It is said that the argan nuts are actually sixteen times tougher to break than other nuts like chestnut and hazelnut. It takes a strong hand. Moroccan women do it. Some tourists flock these areas to try. They also learn the process. They are surprised to learn it is hard. Argan oil from the Argan berry tree actually contains Vitamin E tocopherols. It also has carotenes and squalene. It also contains nutrients and much other good stuff. It has phenols and the good type of fatty acids. It actually has a very natural phenol. The argan oil has awesome nutrients for the body. This makes it a popular fruit in Morocco. The sterols of the fruit provide balance. The balance provides include metabolism enhancement for the human body. It is also used for delayed aging. It can also help rejuvenate the hair as well as the skin. The Moroccan folks actually use non-roasted oil for treatment. It used for hair and skin diseases. It can be used for treatment for skin flake issues as well as acne. It is a great and awesome moisturizer. The locals also use it for cooking. It can be used as a simple dip for fresh French or Italian bread. It can also be drizzled in pasta, salad, and other vignettes. It has similar nutritional value with vitamin pills like omega 3 or cardio pills. It is good. The pill is great for cooking in the same way for cosmetics. Agadir Argan oil is popularly used by Hollywood actresses, celebrities, and stars. A popular endorser is Larsa Pippen. Other stars using Argan oil are Angelina Jolie, Madonna, Charlize Theron, Beyonce and Catherine Zeta-Jones. As it is popular with celebrities, it is marketable. This makes the Argan oil popular in all places. Argan oil is actually a great gift. The gift can be for Holidays like Christmas or Thanksgiving. It can also be given as a gift for birthdays. It can also be given as a giveaways or prize in raffle contests. It is an awesome gift for girls and women. It can also be given as a marvelous gift for your gay friends. It can also be given to straight men. Of course, they will just give that to their wives or girlfriends. The government of Morocco decided to take advantage of the great demand for Argan oil stuff. They carried out production subsidy. The aim for this is to accelerate the yearly production that averages around 3,000 to 5,500 tons in the year of 2019 to 2020.